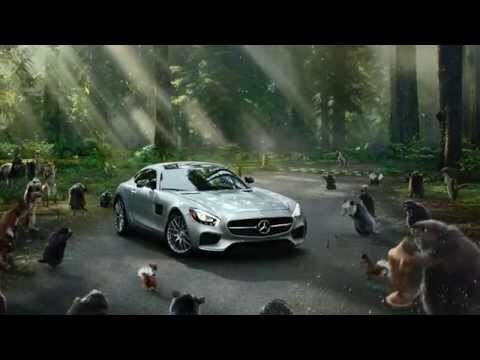 Mercedes-Benz has debuted its Super Bowl commercial for the AMG GT sports car on “The Ellen DeGeneres Show,” days before the big game itself. To amplify the ad’s messaging, Mercedes posted a number of teaser videos on YouTube and commenced TV airing on Jan. 18, the day of the NFL’s Conference Championship games. According to a spokeswoman for DeGeneres, this was the second time the show debuted a Super Bowl ad. Popular TV shows are increasingly becoming an arena for carmakers to launch their ads. NBC’s Today was the show of choice for BMW’s electric i3 spot. Now, Super Bowls ads are not only shown during the big game, but also on other channels like the Internet. In fact, almost 70 Super Bowl-related ads or teasers have been posted on YouTube so far – a 55-percent increase over last year. Since they were uploaded on YouTube, Super Bowl-related ads and teasers have been viewed more than 44 million times through Jan. 24, which translates to over 70 million minutes of viewing time. He said that the remaining half includes all of the effort to build up people’s awareness of the commercial and the message it is conveying. With less than a week before the Super Bowl, Nissan is leading the pregame teaser battle on YouTube. The automaker enlisted seven YouTube content creators with entrenched followings to put their own twists on Nissan’s #withdad Super Bowl theme. In prankster Roman Atwood’s top-trending YouTube video for Nissan, which has been viewed more than 18 million times, he turned his home into a giant ball pit.Of all of the Super Bowl-related content uploaded to YouTube thus far, just 8 percent have been the actual game day commercials, according to the site.